Alpha makes a high school bold with a beautiful programme design. Manchester High School for Girls is one of the UK’s leading independent schools, committed to providing the very best in education for girls aged 4 to 18. The school’s academic record is outstanding; its students are taught not just how to achieve excellent examination results, but to enjoy learning. 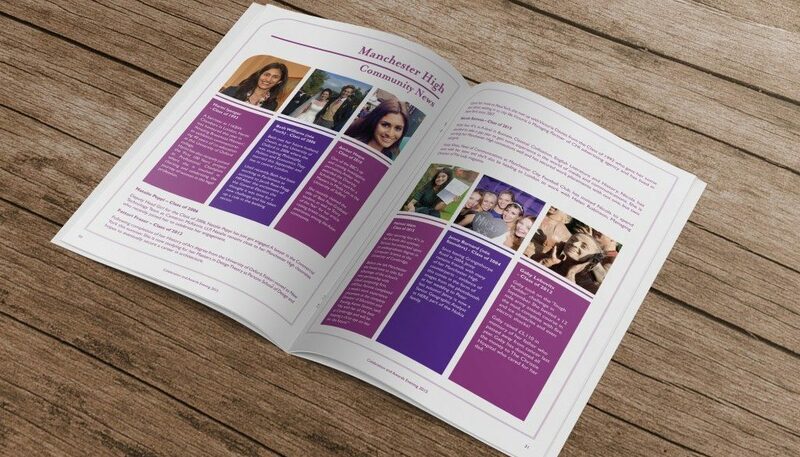 We have worked with Manchester High School for Girls on a number of design and print projects. They include a 36-page souvenir programme design for their annual celebration and awards evening, as well as printed and online invitations for various fundraising events. Our team are fanatic about high quality layout and design for print. Do you have a project that needs a programme design? Get in touch with our lovely team either at info@alpha.coop or call 0191 211 1938.